Colours of tango takes you on an incredible journey to Argentina from the beginning of the last century, where one of the most colourful cultures in the world was born in the suburbs of Buenos Aires. 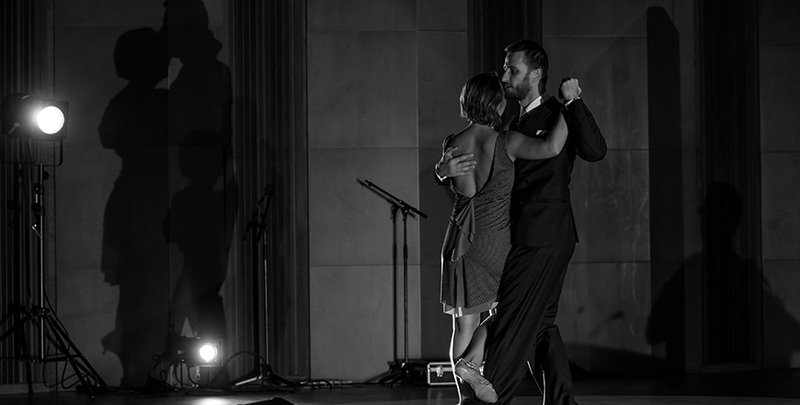 Argentinian tango is not only a sensual and passionate dance but also a diverse and uplifting music created with passion and emotion. 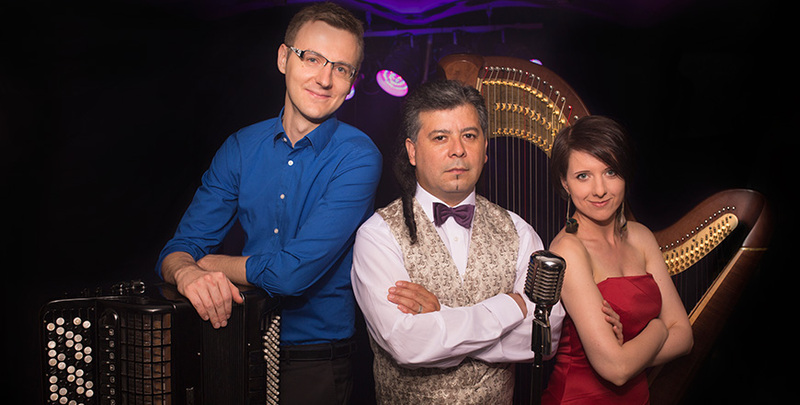 Two young musicians from Łódź (in Poland) and Argentinian singer Oscar Ovejero were connected by a love of tango, the outcome of which is the mutual artistic project Colours of tango. 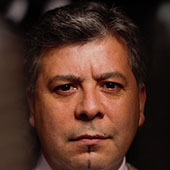 Oscar Ernesto Ovejero, is a native-born inhabitant of Buenos Aires with tango running through his veins. One can hear the essence of tango in its purest form in his singing, which is natural and full of passion. 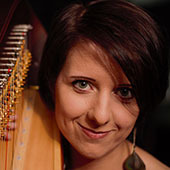 His voice is accompanied by a duo of young instrumentalists educated at music academies in Poland and Austria – Aneta Salwińska (harp) and Konrad Salwiński (accordion) – musicians who have a highly successful track record at (both) home and abroad, and who use the richness of sound in their instruments to present their own arrangements of the works of the old tango masters. 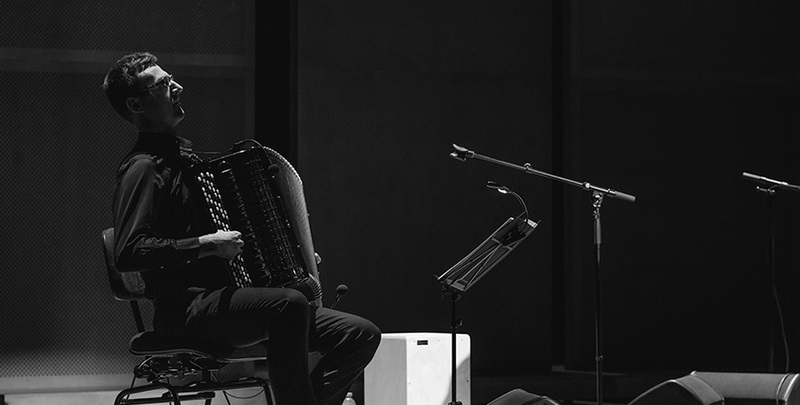 Inspired by Piazzolla’s, Villoldo’s and Gardel’s music, they have revealeda wide range of interpretations – or colours of tango – to audiences in Poland, Austria, Germany and Great Britain and havebeen honoured with an Academia Nacional del Tango certificate. was born in Buenos Aires to a family of musical traditions with Spanish and Indian influences – of the Quechua tribes. 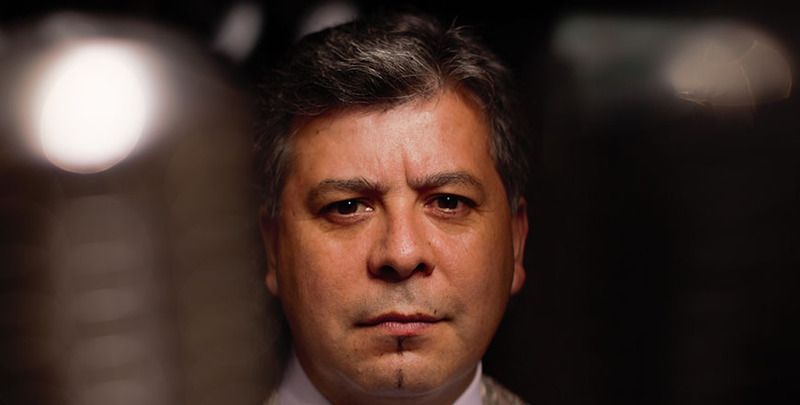 He is a graduate of Conservatorio de Música Juan Pedro Esnaola in Buenos Aires in percussion. He studied singing with Prof. Lilian Duarte, and, after his arrival in Europe, collaborated with a tenor, Enrique Adrados, in Salzburg. 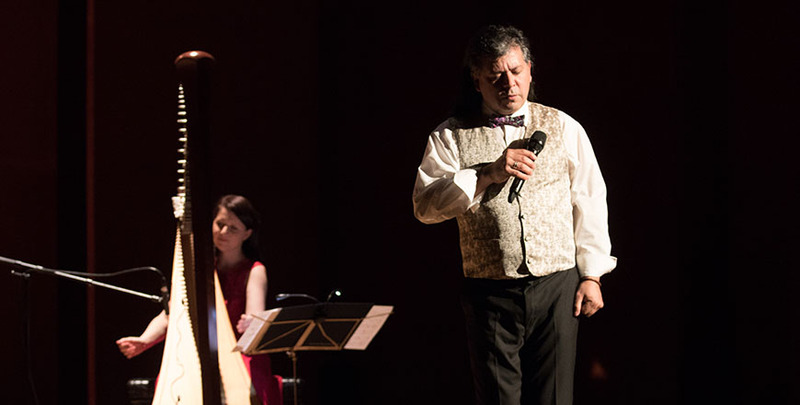 As a natural vocalist and guitarist, he specializes in South American music – its style and rhythms – Argentinian, in particular, with Carlos Gardel and Edmundo Rivero as his greatest authorities among singers of traditional tango. Oscar has performed in various musical formations, achieving great success both in Argentina and in Europe. He presents the richness and beauty of Argentinian tango at concerts, festivals, plays, and milongas with live music of various kinds. 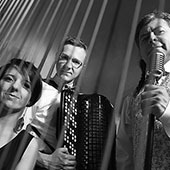 Apart from the COLOURS OF TANGO concerts, he also performs with Sexteto Cristal from Hamburg and Hijos del Sur from Salzburg. 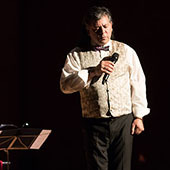 In 2014 he was cast to play one of the main parts in Astor Piazzolla’s Maria de Buenos Aires, staged by Philharmonie Salzburg, gaining positive critical reviews and public acclaim. started her education in music in Łódź at the age of 8. In 2011, she graduated from Music Academy in Katowice under Prof. Helga Storck. At the same time, she studied in the Instrumental Pedagogy Department at Universität Mozarteum in Salzburg. 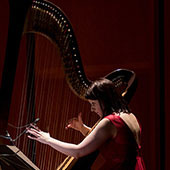 Aneta performs as a soloist and in chamber ensembles. 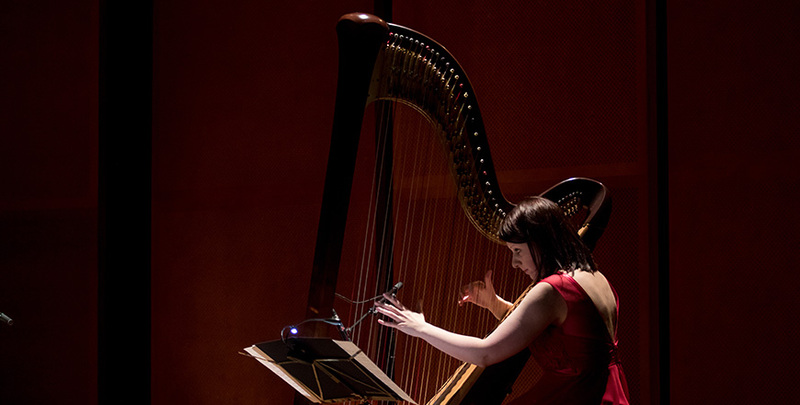 She has participated in numerous festivals such as the International Harp Festival in Katowice, Dialogue of Four Cultures Festival, Musica Moderna, Blaue Harfentage in Munich and others. 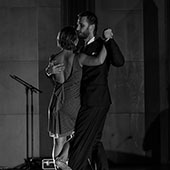 In 2007, she co-created Duo Milonga and, together with Konrad, has achieved great success in Poland and abroad (including 1st Prize in the World Music Competition in Wales in 2014, a Grand Prix in the 2nd National Competition for Duos with a Harp in 2007, 1st Prize in the International Accordion Competition in Slovenia in 2009 and a recital during the 11th World Harp Congress in Vancouver in 2011). 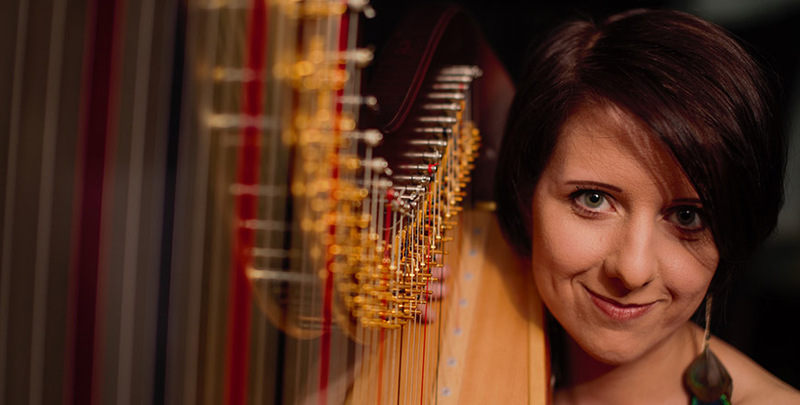 She also undertakes pedagogical work by running courses for children and teenagers and hasworked as an assistant in the harp class in Katowice. 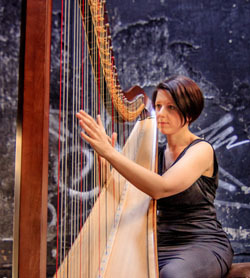 She now teaches at the School of Music in Łódź and works on her PhD at the Music Academy in Katowice. 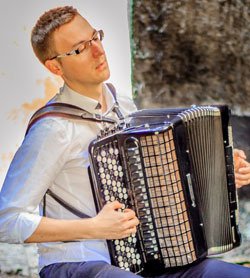 began to play the accordion at the age of 7. 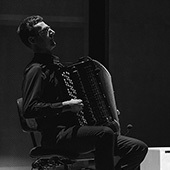 In 2011 he graduated from Music Academy in Łódź under the supervision of Prof. Zbigniew Ignaczewski. He has also studied at Universität für Musik und darstellende Kunst in Graz (Austria) under Prof. Janne Rättyä. 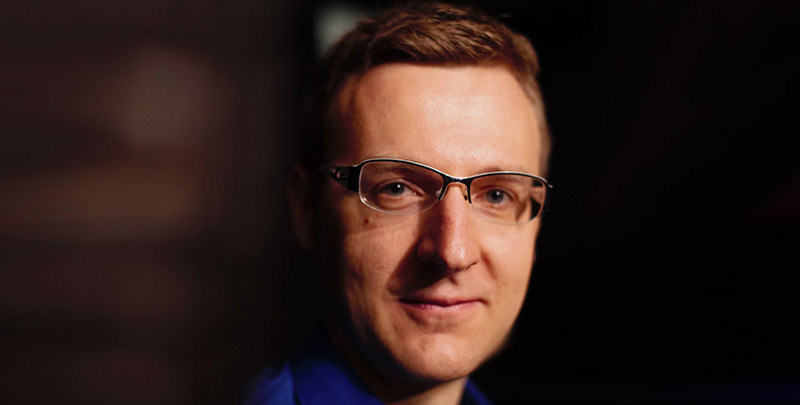 He has participated in numerous International Music Courses where he has perfected his skills alongside some of the most outstanding teachers from Poland and abroad. He has won awards at numerous Polish and international music contests including Vilnius (Latvia), Vienna (Austria), Klingenthal (Germany), Castelfidardo (Italy), Poprad, Danubian Streda (Slovakia), Moravske Toplice (Slovenia), Pula (Croatia), Madrid (Spain) and Caernarfon (Wales). In 2000, 2006, and 2008, he was a scholar of the Ministry of Culture and National Heritage, and, in 2007, he became a laureate of the 4th edition of “Young Poland” – through the Ministry of Culture and National Heritage scholarship programme.In 2008 and 2011, he was a scholar at Łódź Voivodship Marshall. He regularly performs in and around his home city of Łódź as well as in other cities in Poland and abroad. 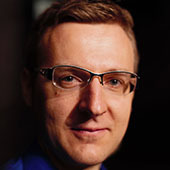 At present, he teaches at both Public and Private Schools of Music in Zgierz. 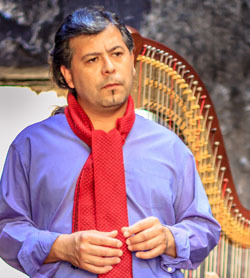 Since 2012, he has managed the Colours of Tango project, both arranging and composing the ensemble’s repertoire. 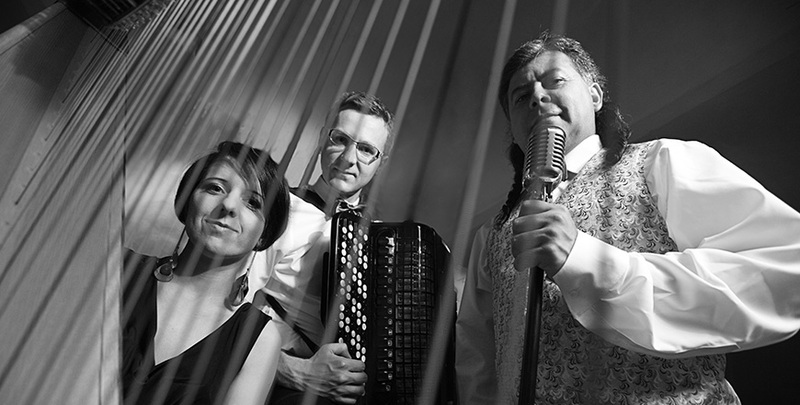 Colours of tango presents a music full of passion and emotion on the highest professional artistic level. 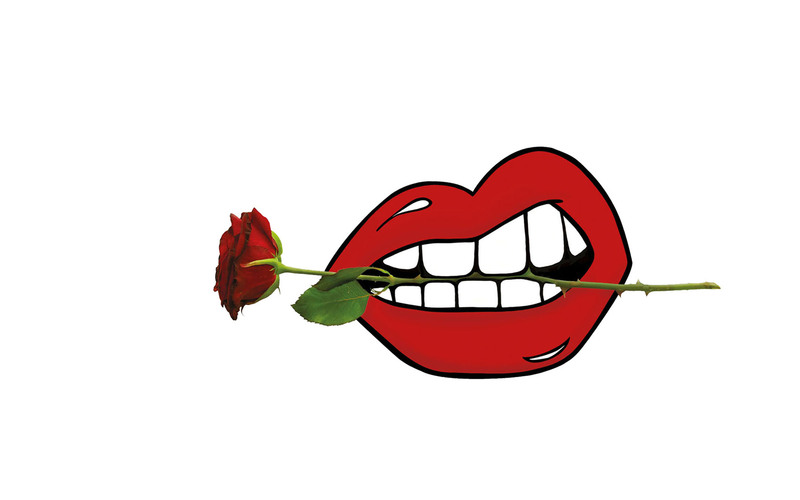 We create a unique blend of sounds discovering a richness of argentinian tango’s styles; from the most recognizable melodies in our own arrangements, to completel new and autenthic compositions. As a great ilustration, that can perfectly complete this musical spectacle, we cooperate also with profesional tango dancers, who shows all different forms of tango, like canyengue, vals, milonga or tango nuevo. © Copyright 2015 Colours Of Tango. All Rights Reserved.